B Public Relations has been appointed to handle the PR and communications for Beverly Hills Formula. 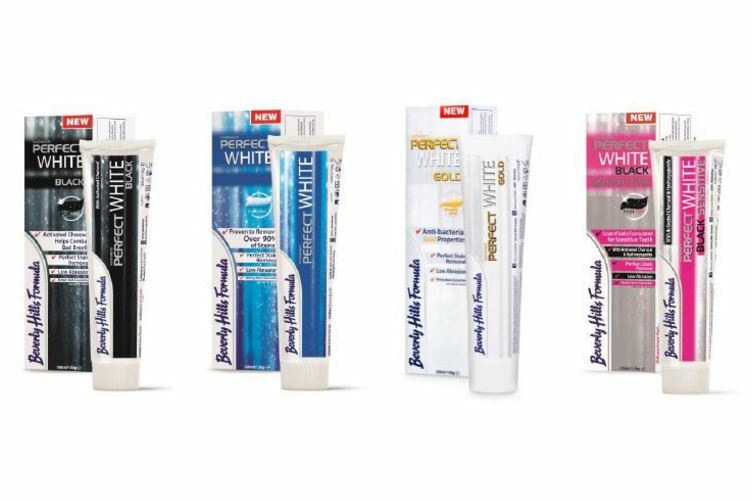 Beverly Hills Formula provides premium oral care products for the health and beauty sector, through their range of whitening toothpastes and mouthwashes, to help you achieve that all important perfect “Hollywood” smile. The Perfect White range services the premium whitening industry with a selection of products guaranteed to exceed your requirements. All products within the range boast high stain removal properties while keeping abrasivity low so not to harm your enamel. The new and innovative range includes top sellers, Perfect White Gold – formulated with actual Gold particles and Perfect White Black – containing Activated Charcoal, which is proven to be one of the most effective and safest teeth whitener ingredients. This July sees the launch of Perfect White Black Sensitive; the ultimate solution for those that suffer from sensitivity but still desire that all important perfect “Hollywood smile”. Beverly Hills Formula is available from Superdrug stores nationwide, Lloyds pharmacies and independent pharmacies. Beverly Hills Formula Perfect White Black Sensitive will be available from Superdrug nationwide from July 2016.